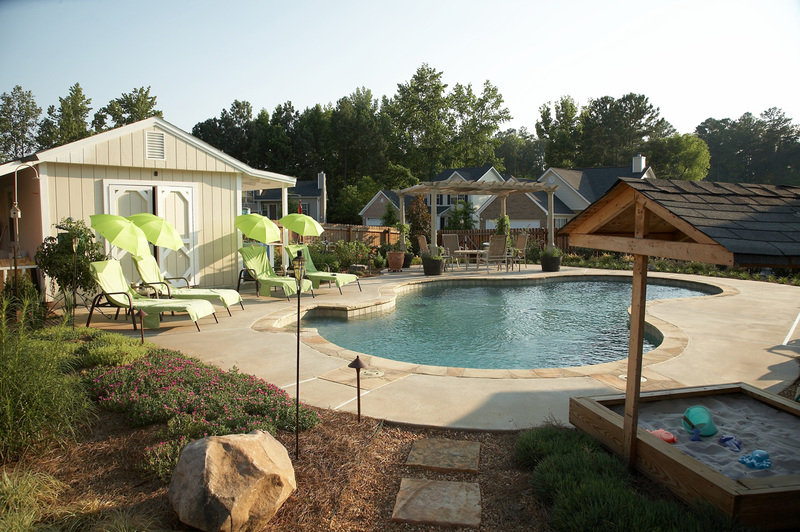 What started out as an afterthought for the builder as an overgrown juniper slope with large red clay ruts became the key view out of the back of this suburban south Atlanta home. 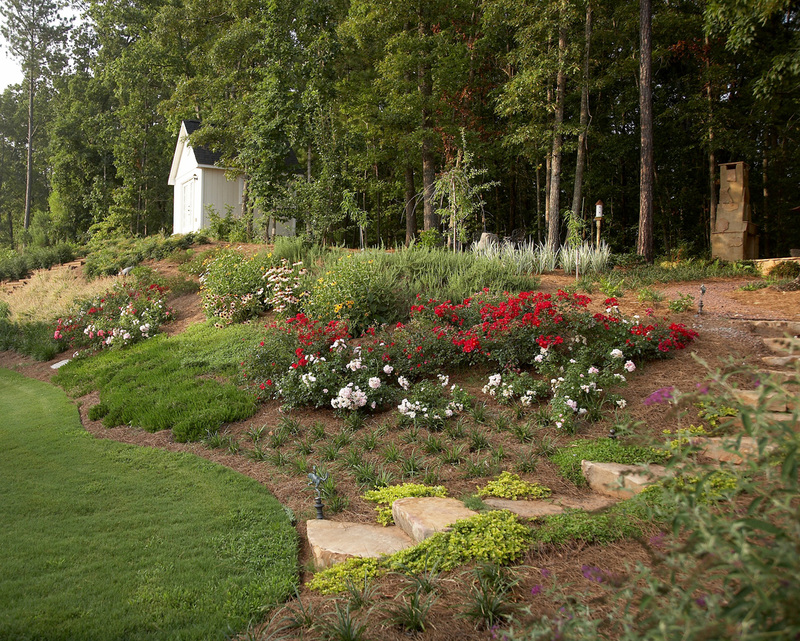 Several loads of topsoil were brought in to rejuvenate lost soil and colorful low growing plantings were designed and installed on the slope. 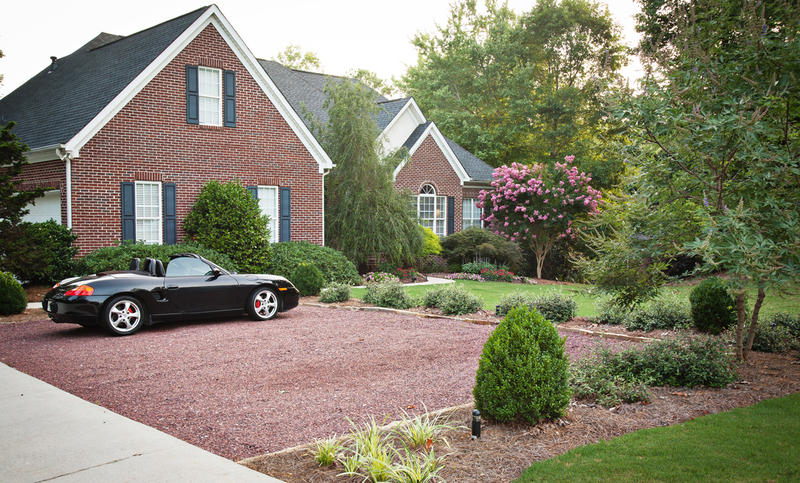 The back yard drainage challenges were solved by piping surface water trapped by poor initial grading to the front yard which included jack hammering through tough soil conditions on the side of the garage. 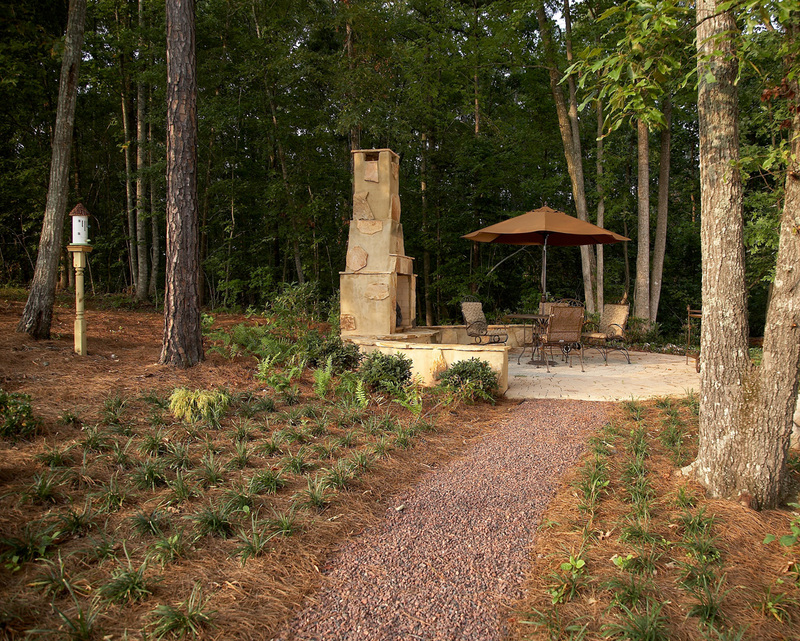 A boulder staircase brings visitors up the back slope on the lower side, up a crimson stone path to a paver patio in the wooded area complete with landscape lighting and an outdoor fireplace. 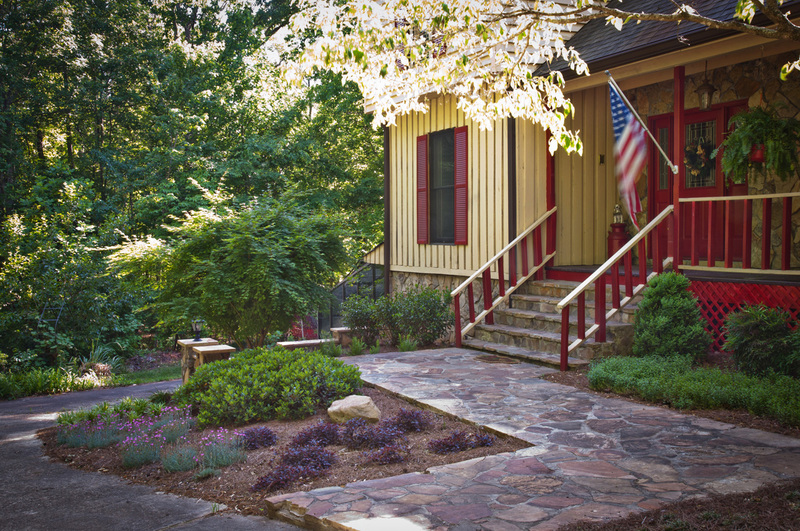 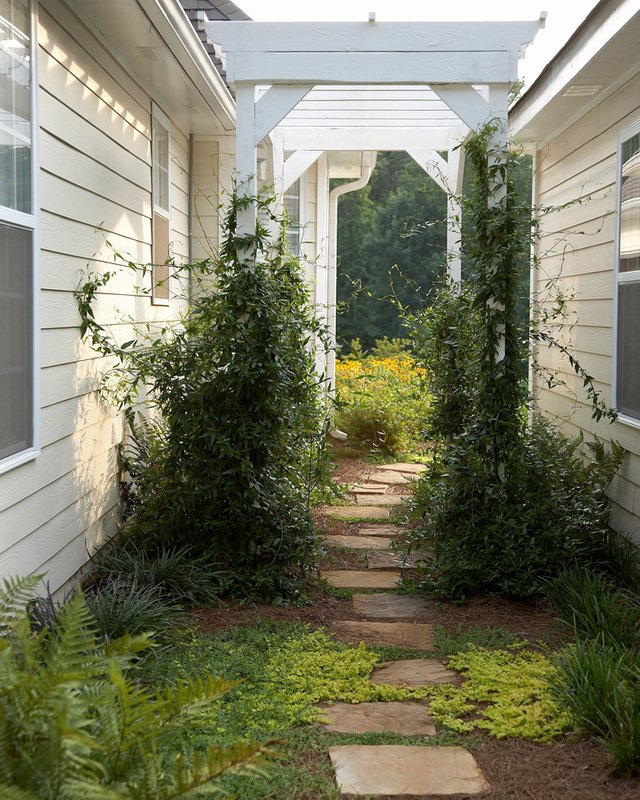 Shade plantings surround the patio and complement the natural style of the space.